Awakeri Hot Springs and Holiday Park is the ideal base to explore the many stunning short walks and major hikes on offer in the Eastern Bay of Plenty area. 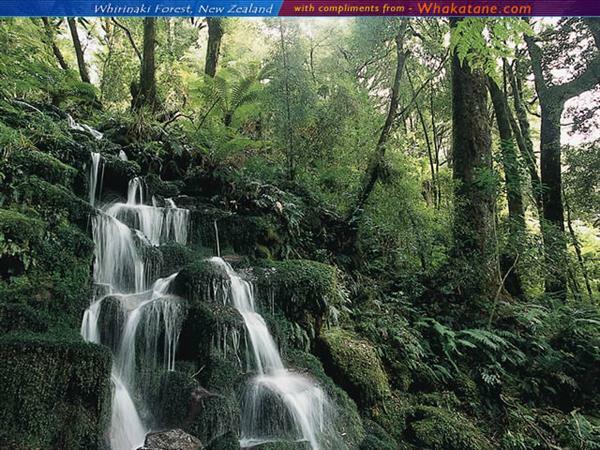 Most bush reserves are maintained by the New Zealand Department of Conservation. A guide to nearby walks and hikes is available at our Park Office. One walk that begins right here at the Awakeri Hot Springs’ car park is Latham’s Track – a 2 hour loop track that takes in stunning native bush, the site of an ancient Maori Pa and spectacular views right over the Eastern Bay Of Plenty and out to White Island. After a brisk walk through the bush, head back to relax in our Awakeri Hot Pools! White Pine Bush reserve is less than a 5 minute drive away and well worth a visit. This is a small 4.5ha reserve containing a remnant of superb kahikatea (white pine) forest that once occupied the fringes of the extensive wetland in the area. Many of the trees are labelled making it an ideal Bay of Plenty attraction place to take the children for a taste of real native forest. The reserve has huge kahikatea, dwarfing the Tawa and Pukatea that provide most of the remaining tree cover. Nikau palms are also an attraction. Hanging vines, shrubs and ferns proliferate under the tree canopy, providing habitat for native birds including Tui, Kereru (native pigeons), Fantails, Bellbirds, Silver-eyes, Grey Warblers and Ruru (Morepork). The track is level and well maintained making it easily accessible for elderly and infirm people. Check out the superb easily accessible and picturesque walks around Whakatane and Ohope Beach here.